Glue Dots-Tape Refill: Permanent. This compact, ready-to-stick adhesive runner is perfect for home and office permanent uses! 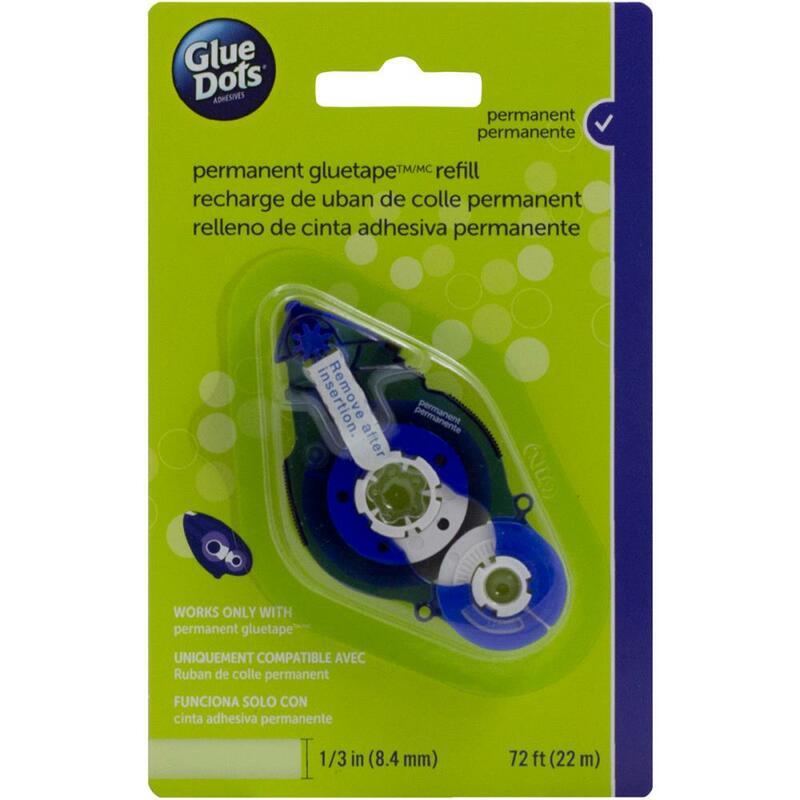 Use with Glue Dots Tape Runner (sold separately). This package contains one tape refill with 72 feet of .33 inch wide tape. Non-toxic. Acid free. Conforms to ASTM D 4236. Made in USA.